Costa Rica is a pet friendly country! Costa Rica is a very pet-friendly country. It will be rare to find a family in Costa Rica that doesn’t have a dog and for good reasons. They are protectors, friends, and good life companions! 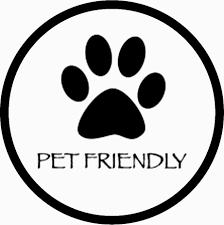 Pets are welcome in shopping centers, cafes, restaurants, and bars everywhere in the country. 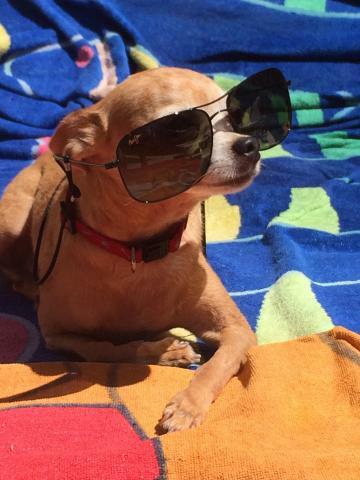 It’s easy to incorporate your dog into your daily life if you live in Costa Rica. Stroll into any shop and you’re likely to find the dog napping behind the counter or enjoying the Pura Vida life at its best, right in front of the door. Honestly, there’s not much more a dog lover could ask for! There are a few regulations for dogs in groceries stores, such as Automercado. They are not admitted but can be attached outside, in front of the parking lot where you’ll find water bowls. There’s often a kid or two playing with them and taking care of them while the big ones are shopping. As all the beaches are public in Costa Rica, the dogs are allowed on the beaches and love it! They play all around and you can see them having so much fun, running and playing together! I love watching the sunset and seeing all the happy dogs enjoying the ride their owners offer. The country is known for its no-kill shelters which avoid euthanizing animals, encourage castration for birth control, prohibit removing claws from cat’s paws, etc. Leaving dogs alone for extended periods of time is strongly discouraged and most public spaces welcome furry friends with open arms. Dogs in Costa Rica are considered an integral part of the family. They are free to roam off leash in the majority of places, and thanks to a series of laws and guidelines, measures are taken to ensure that they are well taken care of at all times. Costa Rica gets major points for being so proactive in the fight to end animal cruelty. The President of Costa Rica Solis has signed in June 2017 a law against animal abusers in a public event. The law aims to punish people who tease and hurt animals. The law seeks to sentence the abuser to two years in jail if he kills an animal, sentence the abuser to one year if he hurts, has sexual relations or vivisection with an animal, punish people who organize cockfighting, dogfights, and others and punish pet owners who commit animal abandonment. Source. Before bringing your furry to Costa Rica, you are required to get some paperwork. For Americans, the dog or cat must be accompanied by a health certificate issued by a licensed veterinarian and endorsed by a U.S. Department of Agriculture (USDA), Animal and Plant Health Inspection Service (APHIS), Veterinary Services (VS) veterinarian. That endorsement needs to be done by the APHIS Veterinary Services Area Office in your home state. Contact information for that office can be found on the Animal and Plant Health Inspection Service (APHIS). Source. For Canadians, all pets traveling to Costa Rica must have an International Health Certificate for dogs and cats, issued by the Canadian Food Inspection Agency. You should download the document from the Agency's website and it has to be completed by a veterinarian licensed to practice veterinary medicine in Canada and then presented to an official government veterinarian to be endorsed. The examination for the certificate must be conducted within the two weeks prior to traveling to Costa Rica. The required vaccinations are distemper, hepatitis, leptospirosis, parvovirus and rabies (for animals 3 months or older). Source.